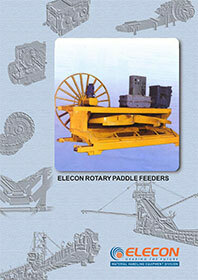 Rotary plow feeders are most useful for handling materials that are sluggish, tend to interlock or mat and thereby arch over restricted openings. They are usually mounted under the bottom of bins and hoppers and are specially designed to prevent bridging or arching of material. 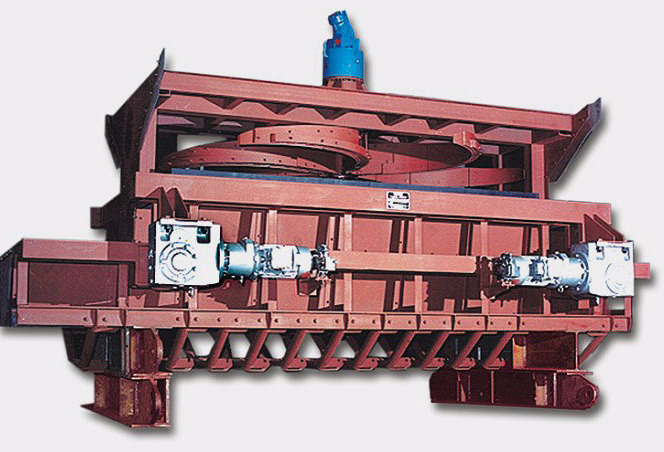 A rotating set of plows push material toward a discharge opening .In recent times Paddle Feeders have been very successfully used in Coal Handling Plants and other installations for extraction of loose materials from stockpiles, Silos and Bottom Discharge Wagon Systems.